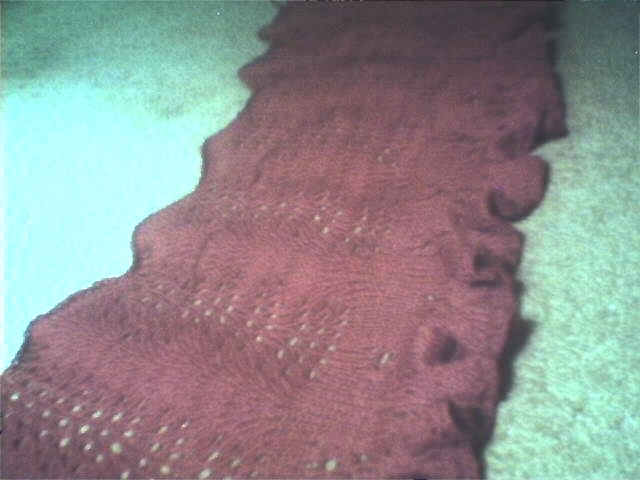 Sister’s shoulder wrap/stole/capelet thing is finally finished. I’ll try to get it blocked today (or tomorrow) and take a pic or two plus add some notes. 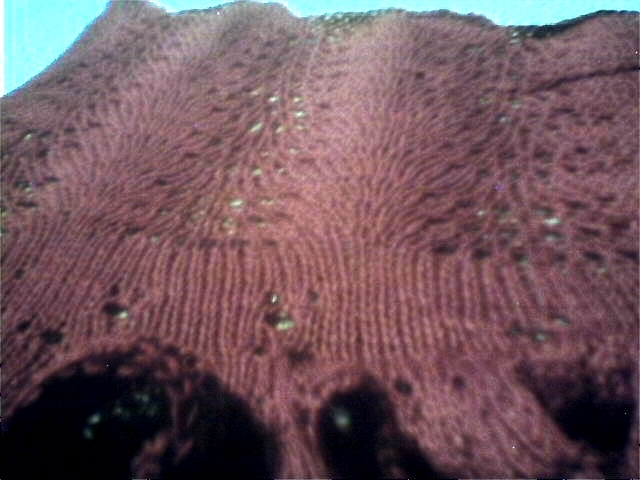 There is one thing I must say – this was knit on some very old metal circulars. They’re horrible… cable is somewhat thick and twisted oddly and can’t seem to get it fixed. (tried hot water, can’t do the microwave thing) I think they’ll have to be tossed as spent half the knit time arguing with the needle. Tools DO make a difference. Top of the line is nice but hardly necessary but when a tool makes working on a project more difficult then it simply isn’t the right tool. ‘nough said. The whole deal – top is the gently scalloped edge from fern/fan stitch going into an eyelet stockinette freehand area with a ruffled bottom edged with garterstitch border. Keep in mind, recipient is a very petite lady, 4″11 ish so something to keep her shoulders warm doesn’t mean an item that is overly long. We’ll see how she likes it and perhaps get pictures (if she likes it) during the holidays. 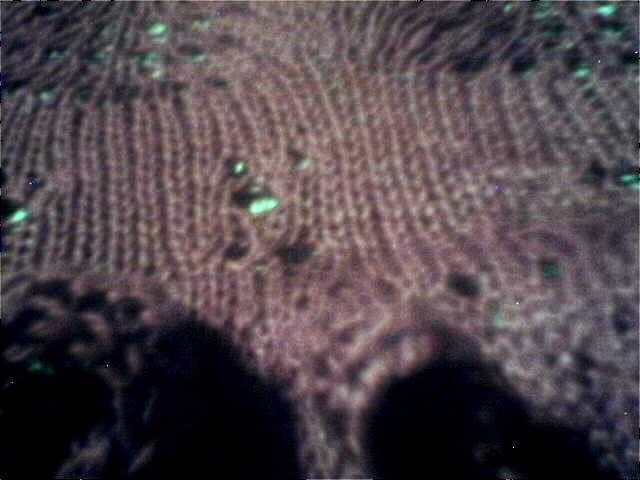 Late last night I cast on a pair of fingerless gloves for myownbadself. My hands are cold. We’ll see how this turns out, doing a 3×1 rib cuff using left over Knit Picks Gloss. It better be an all time record fast knit. Did I mention my hands are cold? oh yeah… Could go get a couple pairs of cheapy knit gloves but I don’t want to. Want my own! Besides, experimenting with a newish design and need to know how it will work up before making a couple more pair to gift. In other news – Have a job interview today!!!!! And my former employer called yesterday and left a message. I’ve called back a couple of times but no luck in getting through. DO THEY WANT ME BACK?! Yes, no, maybe, uh ????? This entry was posted in Knitting, Life and it's Stuff and tagged capelet, circular needles, interview, knit, Knit Picks Gloss, stole. Bookmark the permalink.